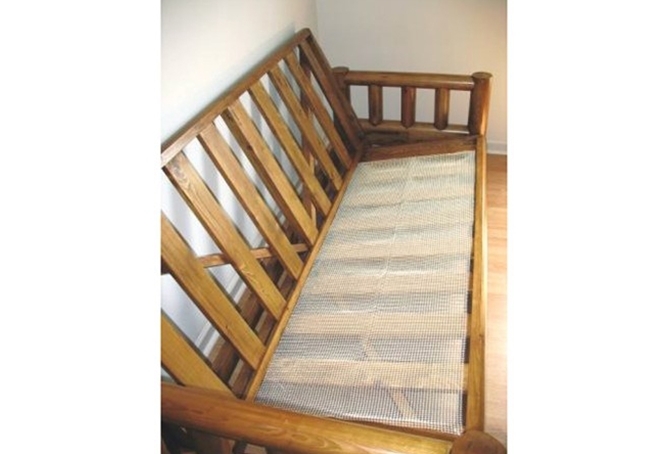 FutonsToGo - Gripper Pad for Futon Frame - Buy from Manufacturer and Save. Futon mattresses have a tendency to slip and move around on a frame. A Non-Slip Gripper Pad eliminates this problem. Non-Slip Gripper Pad is placed underneath the futon mattress, on the seat deck and keeps the futon mattress from moving, slipping and sagging. One size Fits All. "It really helps to keep the mattress in place. Previously I had to adjust the mattress several times a week! I haven't had to since I started using the mattress Gripper Pad!" "Gripper appears to be working well but have only used it for one week. I am hoping for the best." "This was basically a non-slip sheet like what is often added under rugs. It will do the job. " 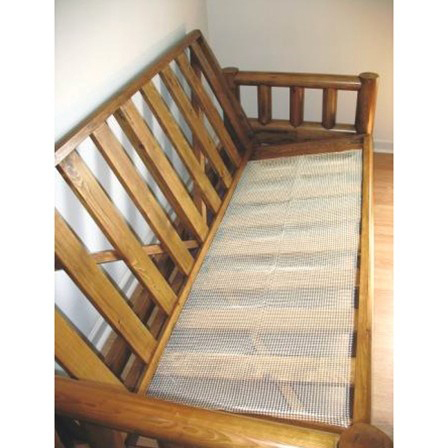 "I use it on a futon as it is a futon cover. " "Does what itâ€™s supposed to do"
"To keep the mattress from slipping. No one. Not very good. It doesn't grip the mattress at all." "Amazin works like a glue - no longer saggy look!" "Works like a charm Thank You"
"The gripper pad holds my futon in place perfectly." "*** loved what was delivered. It was exactly as described and easy to put on the mattress. We couldn't have been more pleased." "So far so good Thanks"